Have you left your dental care too late? Are you worried as to it being “so far gone” its impossible to salvage? Come see our dentists regarding full mouth rehabilitation options. 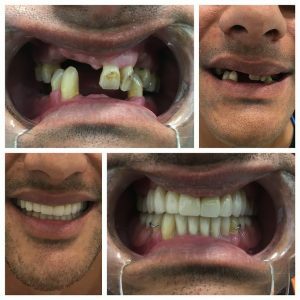 We have completed a number of these cases and our work speaks for itself – see our “Transform your smile; transform your life” article in our BLOG. Looking for a quality and affordable Dentist?